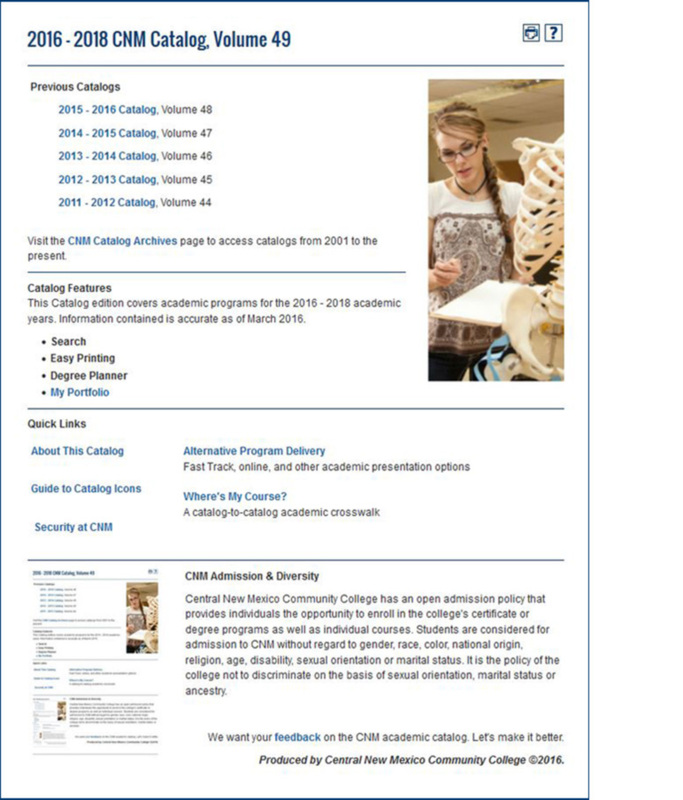 Visit the CNM Catalog Archives page to access catalogs from 2001 to the present. This Catalog edition covers academic programs for the 2016 - 2018 academic years. Information contained is accurate as of July 2017. Produced by Central New Mexico Community College ©2016.